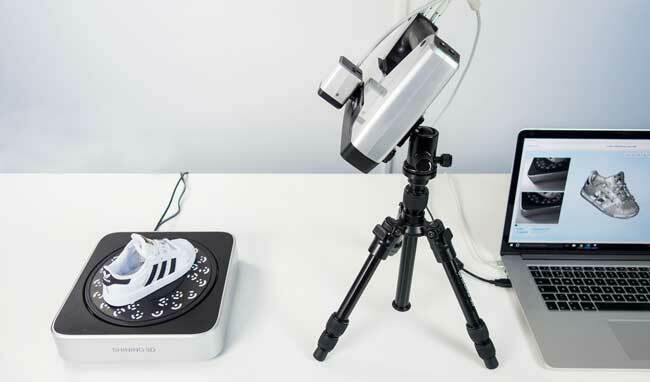 Twinstant Mobile Full-Body 3D Scanner: designed to capture full body 3D portraits. It has a scan speed of 1/4 of a second. It has a foot print of 10′ in diameter. 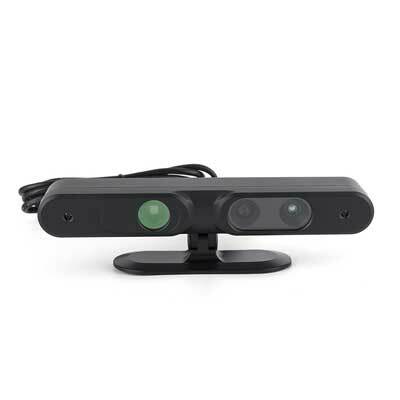 HP Z 3D Camera: a Windows 10 compatible camera that attaches to your monitor and captures objects and documents in real-time. 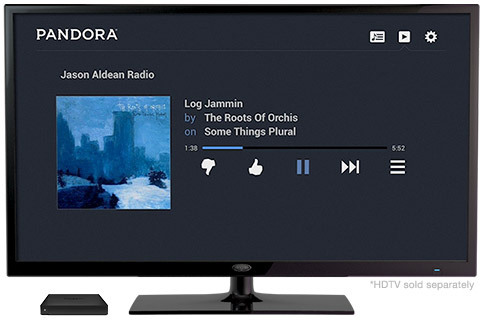 It comes with 3D SLAM tracking and scanning technology. Afinia EinScan-Pro+: has 4 scan modes and can handle objects up to 4000mm. It scans up to 550,000 points per second. 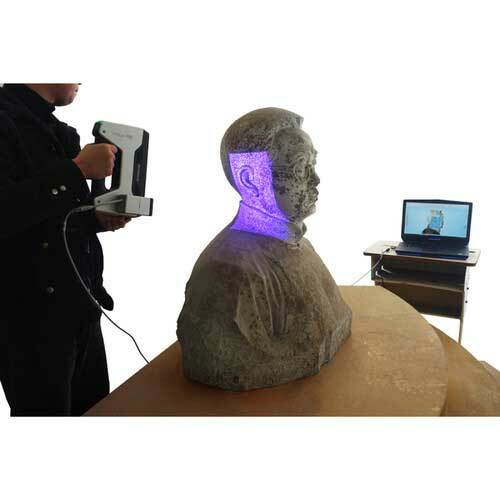 EINSCAN-SP Desktop 3D Scanner: lets you achieve accurate scans for VR and CG. It has a accuracy of 0.5mm for a single scan. 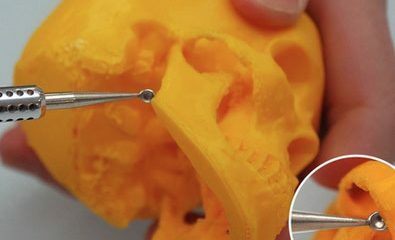 It can achieve 360-degree scans for under a minute. 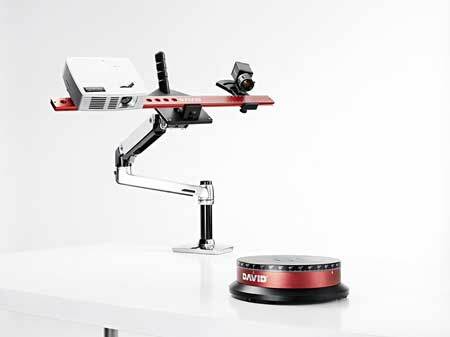 DAVID SLS-3 3D Scanner: another kit that lets you 3D scan with up to 0.05% resolution. It comes with the DAVID5 3D scanning software and lets you export models in OBJ, STL and PLY formats. 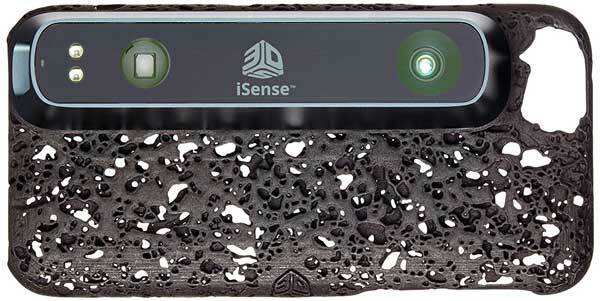 iSense 3D Scanner: an iPhone case with a 3D scanner. 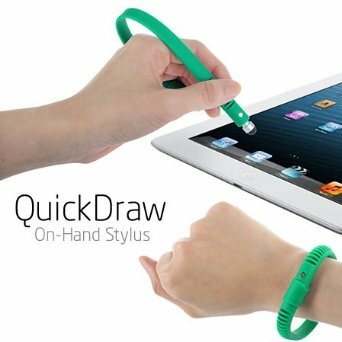 It lets you scan objects from about 8” to 10’. Files can be exported to .STL, .PLY, .OBJ, .WRL for editing. 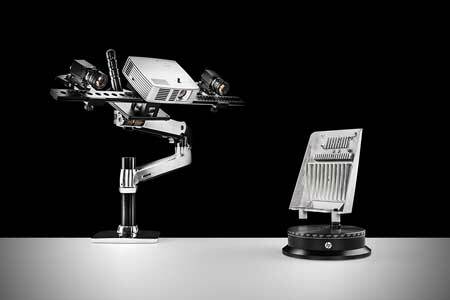 DAZZLE LIGHT Scanner: has a max scanning speed of 60fps. 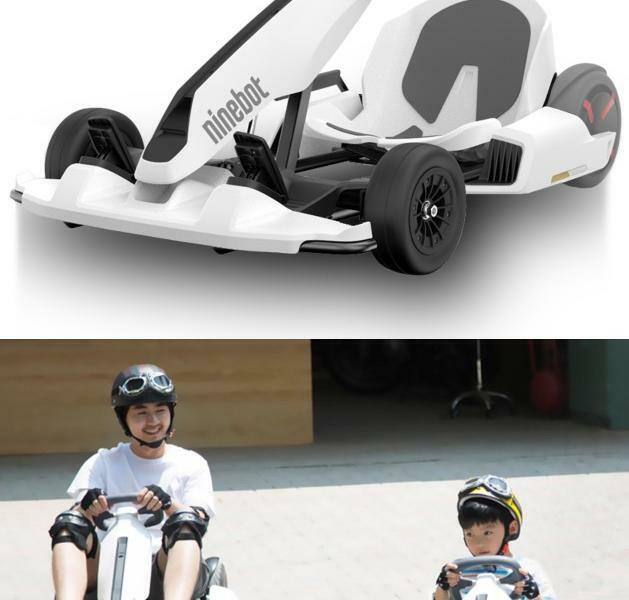 It has 6 modes and can face, body, room, and other small objects. Ciclop Desktop Laser 3D Scanner: an open source laser 3D scanner with space for objects up to 20.3 x 20.3cm. PS 4 Camera: this takes your gaming experience to the next level. 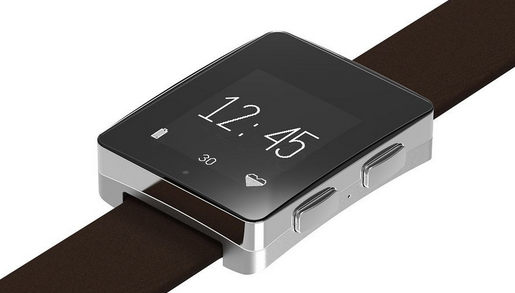 It has 3D depth sensing for precise tracking. HP 3D Automatic Turntable Pro: lets you achieve 360-degree scans. 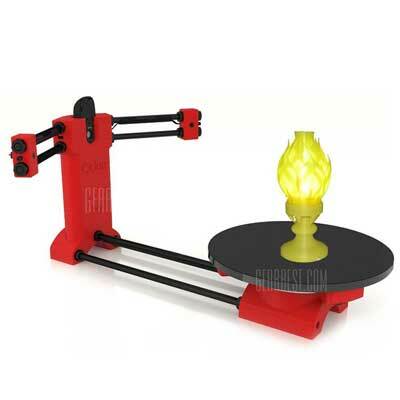 It works with the HP 3D Structured Light Scanner Pro S2 and Pro S3 models. Have you found better quality 3D scanners? Please share them here.